It's OK to play favorites on birthdays! Let your brother know he's your favorite (even if he's your only brother! ), and send him this awesome birthday card. 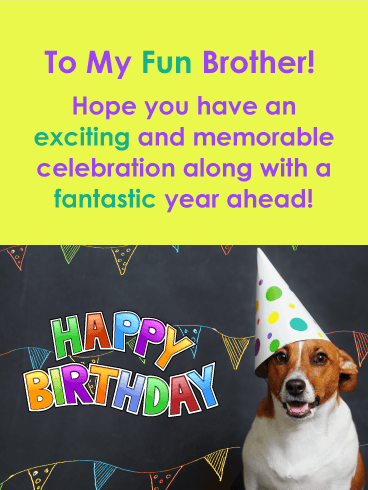 A quick birthday greeting is such a thoughtful and fun way to wish your brother a great day. Send it now as part of the birthday celebrations. Heck, you might even send him two birthday greeting cards...(he is your favorite after all)! 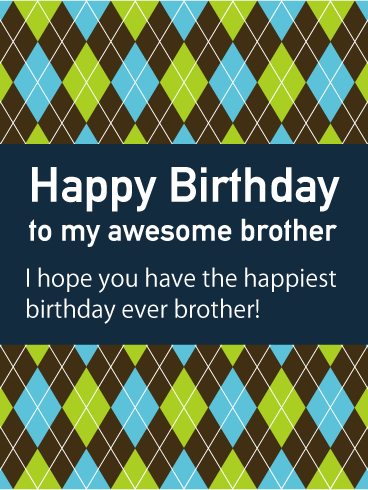 Happy Birthday to my favorite brother - I hope your special day is the most delightful one yet! Is there any picture sweeter than this one?! Between the fun sunglasses, the dandelions, and the smiles, this is sure to take your brother right back to your childhood days. The subtle blue pattern on the bottom matches perfectly with the sunglasses, while the crack about being more amazing perfectly captures sibling love and rivalry. There's nothing that says celebration like firecrackers and sparklers. Just look at those colors! This is an exciting birthday card that has a beautiful sentiment without being too mushy. It would make a great choice for your brother, especially for a birthday celebration or surprise party! 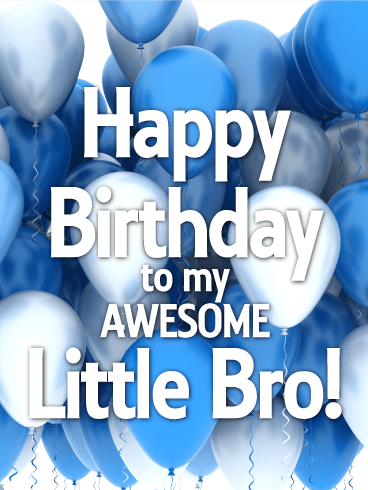 This card is a can't-miss when celebrating your baby brother's birthday! The different colored balloons make the perfect background, and calling your little brother awesome is always an added bonus. If you're having trouble deciding what birthday card to get, this is a safe choice for any brother! It's personal without being over-the-top. 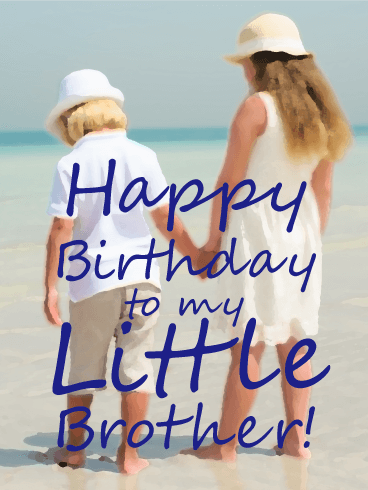 This birthday card will transport you right back to your childhood days with your awesome big brother. 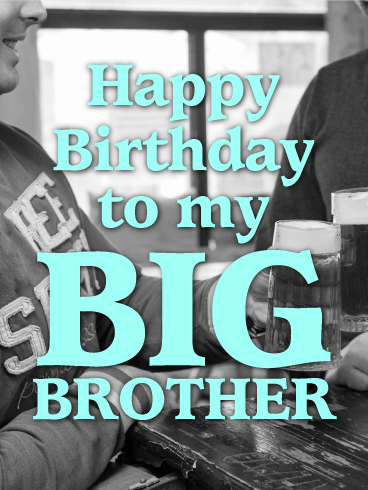 The black and white background adds a unique element, while the big block letters that say "Big Brother" make this birthday card stand out from the rest. The light blue is the perfect hint of color without ruining the simplicity of this great choice. For the humor-loving brother in your life, you can't go wrong with this birthday card! Instead of spending money on actual flowers, he'll appreciate this birthday card so much more. 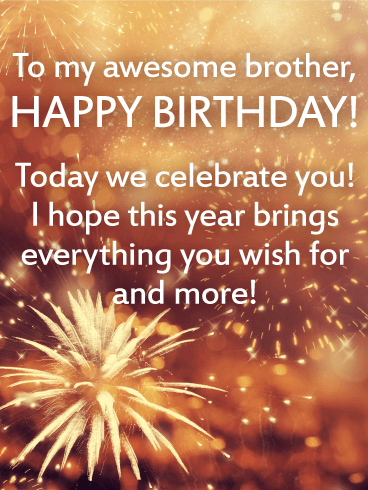 Whether you're looking for a birthday card for a sixteen year old brother, or searching for the perfect choice for your brother's 60th birthday, you'll be glad you picked this one! 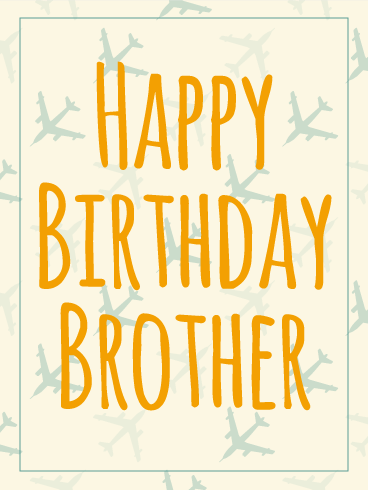 Whether it's a literal brother or a close friend or relative, the "bro" in your life will absolutely love this birthday card. 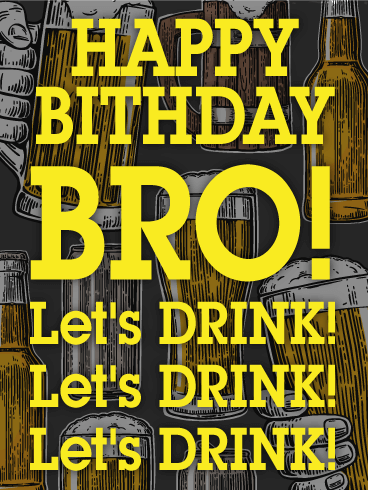 Birthdays are an excuse to have a few beers with those closest to you, and this card really captures that element. Having "drink" in all capital letters puts an emphasis on the celebration, while the cartoon pictures of the beer bottles and mugs in the background tie the birthday card together. Classic yet funky. That's your brother! 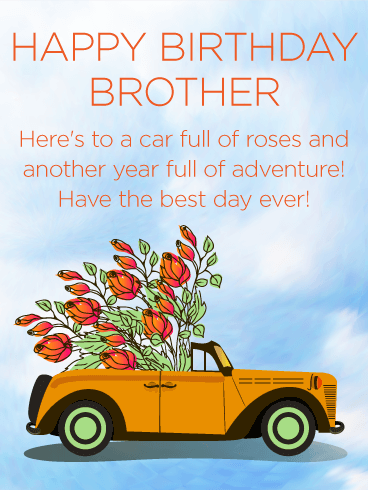 This is the perfect birthday card for your awesome sibling. 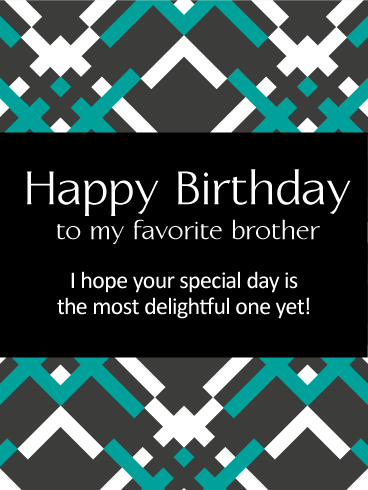 Wish your brother a great birthday with a cool, argyle birthday card. It is fast and easy to send an awesome birthday message that he'll truly appreciate. 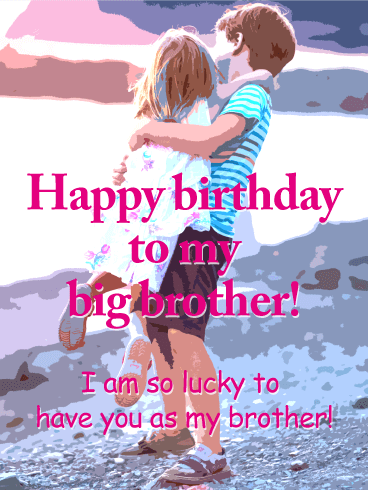 Let your brother know he is on your mind, and that you wish him the happiest birthday yet! Finding the perfect birthday card for your older brother doesn't have to be a challenge anymore. Regardless of your (or your brother's) age, this card is the perfect combination of simplicity and sentiment. It's sweet without being overly mushy, perfect for an older brother. The sweet picture in the background is just an added bonus! Take to the skies with this awesome birthday card! Sometimes simple says it best. 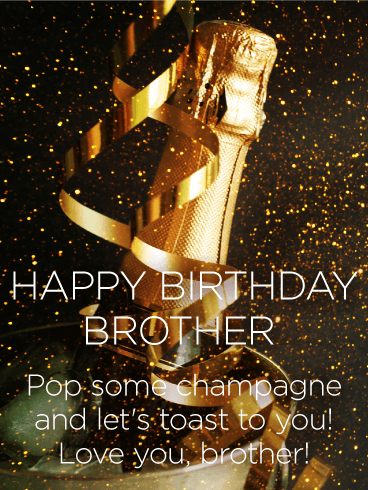 Send your brother a birthday card to wish him a great day. All boys grow up loving airplanes and turning their eyes to the sky in search of jet streams. Even in grown men, planes bring nostalgia and dreams of flight.. 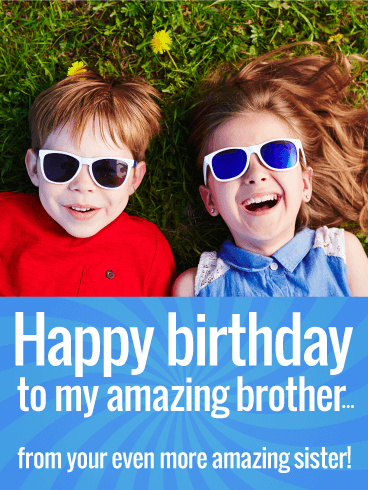 Send this sleek and hip birthday greeting to your brother and make it a great day!